May the Self-Regulating Force Be With You! We often wonder how our teaching of self-regulation strategies fare outside of the specific lessons. For us, the overriding question is whether or not the children are able to transfer what they know to a context outside of classroom instruction. We’ve been practising our deep breathing; creating calm, peaceful scenes in our minds while meditating; listening to soft music and focusing on relaxing and breathing when using the Zenergy chime. We’d have to say this was a pretty good week to test out the effectiveness of our teaching. Would the children be able to manage their energy during the long presentations this week? What would they do if they were feeling restless and wiggling in their seats? Do they know how to ignore distractions? Would they be able to self-regulate their own learning by reflecting on what their task was in each new situation? One of the most exciting things we did this week was to welcome Kathleen, a scientist leader, from “High Touch, High Tech” to our classrooms to present the “Newton in Nutshell” workshop which focuses on Force and Motion. 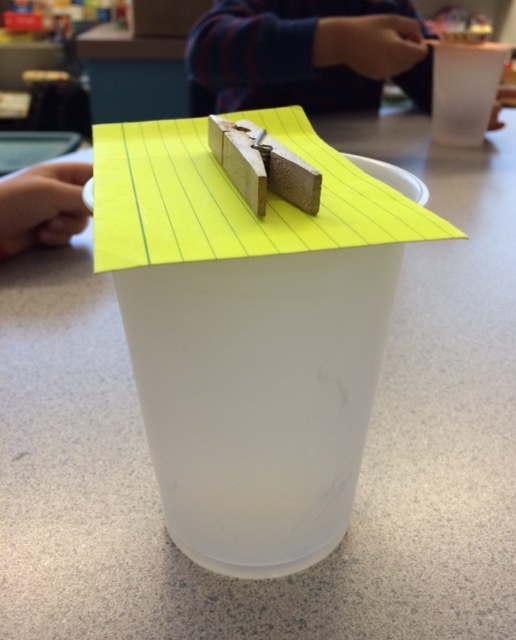 As physicists, the children would study things that moved and how they moved. The children learned that scientists can do lots of things. They conduct experiments which are done in a laboratory, and for this special day, our classrooms were the labs. Kathleen reviewed the important safety rules such as wearing safety equipment like goggles and lab coats; walking in the lab and keeping things out of our mouths. Students must listen to instructions, note the order in which tasks are to be completed and take precautions in using equipment. The first law of motion: An object in motion stays in motion. An object at rest stays at rest. Kathleen showed us with a long string of beads in a cup how once we start to pull the strand out of the cup, the rest of the strand would follow and it would not stop until it was finished. This motion stopped when the beads hit the ground. The second law of motion: The bigger the force, the faster the motion. An object with a bigger force goes faster and further. 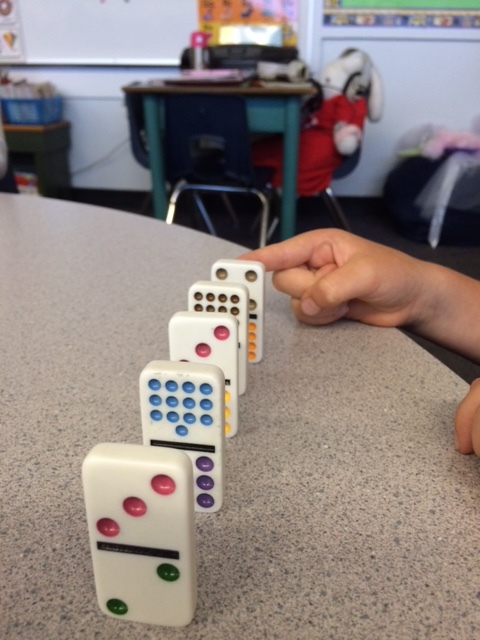 Kathleen set up a series of dominoes to demonstrate what happens when we push hard or push slowly; and that by changing the position of the dominoes (closer, farther apart) it also changes the motion. The third law of motion: For every action there is an equal and opposite reaction. A reaction happens after the action; for example, if pushing against a wall while wearing your skates (the action), the reaction is to go backwards. Using Newton’s Cradle, Kathleen showed how the number of balls she set in motion had an equal reaction in that the same number of balls on the opposite side would start moving. Finally, we learned about the apple falling out of the tree. Sir Isaac Newton discovered gravity. If you drop an object, it will always fall to the ground. Gravity pulls everything to the ground. With their newfound knowledge, our children then embarked on a series of experiments and learning centres to practise what they had learned. 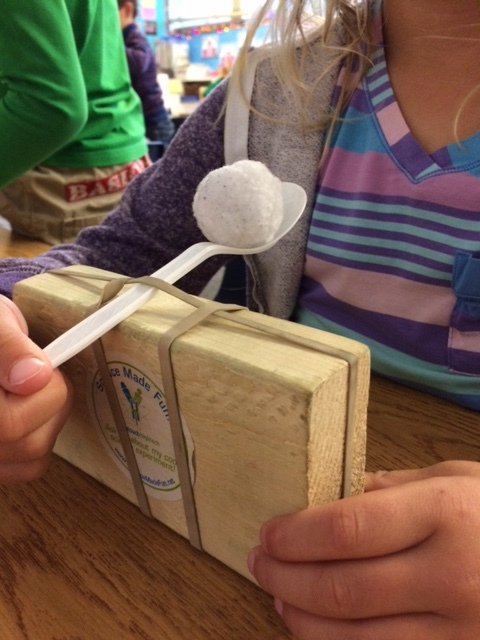 They were able to drop a variety of objects down a vortex, race cars, fling pompoms in catapults, spin felt pen tops to make designs and test out the “spinning wheel” while standing on a moving platform. It was a very busy and exciting time. We were happy we’d taught the expectations for centre-based activities and practised this process many times under a variety of circumstances from the regular activity time to Hallowe’en Centres to Math. The children were all able to rotate well through the stations and participate in their specific learning tasks. They walked safely from table to table. For the most part, they remembered the instructions to follow through on their activities in the correct order. For their age, and this being the first time for many of them to receive specific lessons in self-regulation strategies, we were really proud of our students for demonstrating patience, turn-taking and sharing cooperatively most of the time. But we’ve also learned that self-regulation instruction is not a series of lessons, or taught only in the early years of Primary. In the past four years where we’ve made significant changes to our classroom instruction and classroom environment, we know that learning, understanding and using self-regulation strategies is a complex process. We’ve said before that self-regulation is a way of being, something that we have learned and developed over time. We know that our Kindergarten students are well on their way in their personal journey of self-regulation. Many thanks to Roseanne from the West Vancouver Memorial Library for showing us a variety of wonderful books and reminding us to register for the Summer Reading Program. We enjoyed our delicious cookies from the Kindergarten Cookie Sale. Thanks to Mr. Blackburn and the Grade Six students for organizing this special event. Funds raised will be donated to Free the Children. We loved watching our siblings and other Ridgeview Primary students perform at the Primary Talent Show. Next week is the last week for Home Reading. Friday, June 24, will be the last day to take home a book. Wednesday, June 22, is our Vancouver Aquarium Field Trip. Please return your permission form and cheque on Monday. 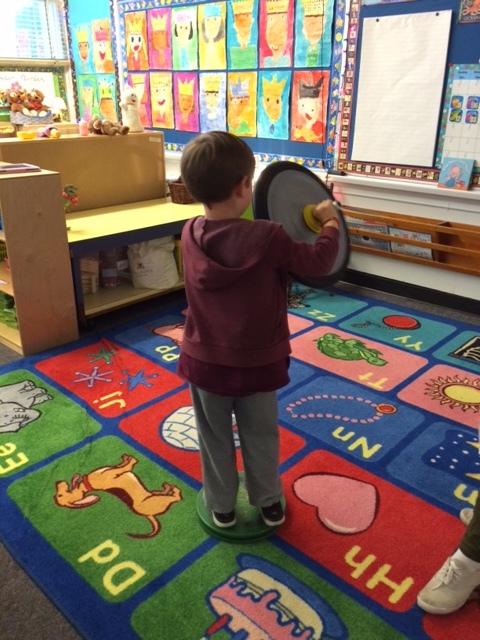 This entry was posted in Newsletter, Reflections and Musings, Self-Regulation by thekinderteam. Bookmark the permalink.